A cooling pillow is not actually what people usually think of it. It is a common assumption that the cooling pillow is something made up of ice that gives you a cooling sensation. Well, that concept couldn’t be more wrong. A cooling pillow is made up of a gel, which provides cooling sensation in summer and does the opposite in winter. A human body works in surprising ways. Do you ever feel the need to change the side of pillow because the current side is not cold enough? This is because your body is continually radiating heat, especially from the head. If you live in an area where the temperature gets high very often, then you might be needing a cooling pillow to put you to sleep faster. The whole day gets ruined if you didn’t get enough sleep earlier that night. Especially when the temperature gets high, the body keeps sweating and remains oily almost all-day long. A person might cope with the heat in the daytime, but at night time when you are tired, there are no chances of tolerating the heat anymore. This is where a cooling pillow might come to the rescue. Instead of twisting and turning the whole night place the pillow and have a sound asleep. Wondering how a pillow might be related to your skin? Well, to your surprise, pillows are one of the most common reasons for skin problems especially pimples. Our head releases a right amount of heat and oil. When we place it under our face the dirt particles and the oil attack the skin resulting in sudden outbreaks. This is why it is always suggested to change the pillow cases every other day and even if it is possible every day. Now, how the cooling pillow is related to skin. It keeps the hair oils and heat at bay, resulting in the fresh skin in the morning. Insomnia is one of the most problems this generation is facing these days. Spending all day long in front of computer screens and doing almost zero physical work can lead to such problem. 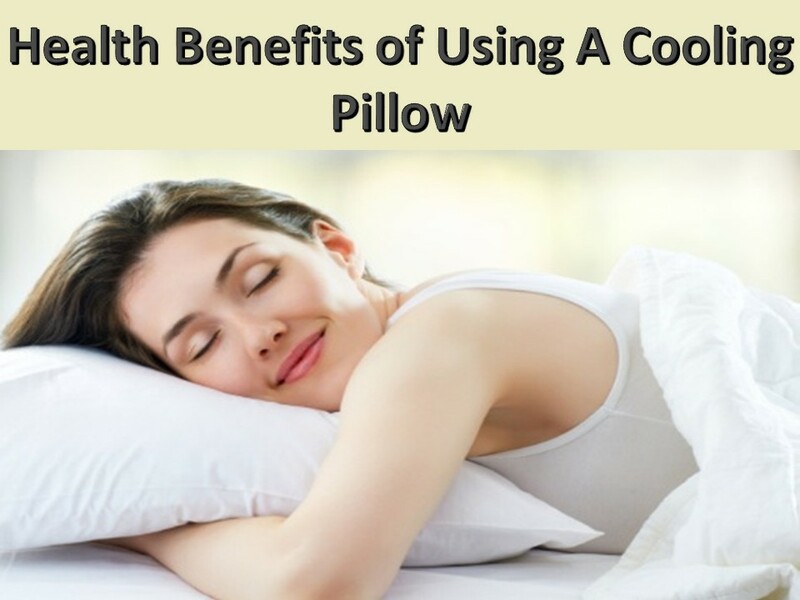 Cooling pillows will help you in calming your mind and putting you fast asleep. If night sweats cause your insomnia, then you will see some beautiful changes in your sleeping schedules. Remember whenever you see a chart about maintaining your health, it always mentions to get enough amount of sleep every night. Having sound asleep every night will help you avoid many other problems like metabolic diseases. These risks include developing diabetes mellitus, stroke, and heart disease. Science has proven the fact that the chances of getting the diseases are doubled if are not getting enough sleep every night. A sleeping pillow will help you in avoiding this problem. As this is the age of long sleep living, the psychological disease has emerged more than ever. Now a day, every other person is suffering from any mental diseases, and most of them don’t even know that they are suffering from it and they need to cure it. The most common forms of mental illnesses are depression, anxiety, and insomnia. According to the meditations, one of the primary cause of this problem is lack of sleep and bad sleeping habits. According to a saying “sleeping is the best way to escape from reality,” if you are not getting enough sleep, you can never have peace of mind.